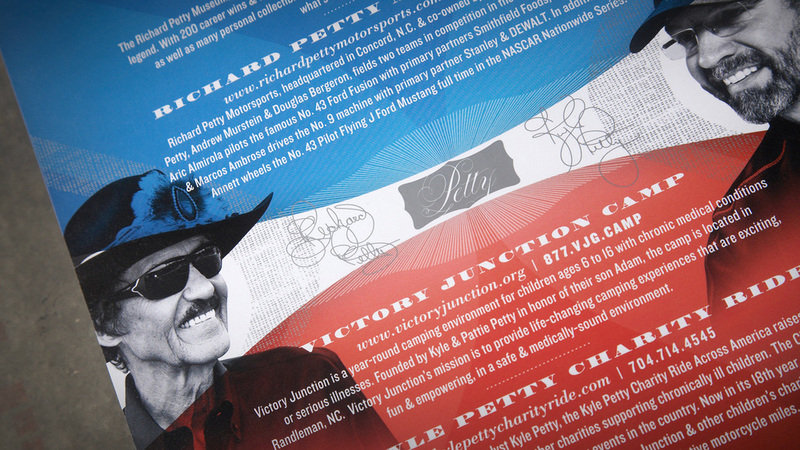 Known as "The King", NASCAR Hall of Famer Richard Petty continues his legacy on and off the track. 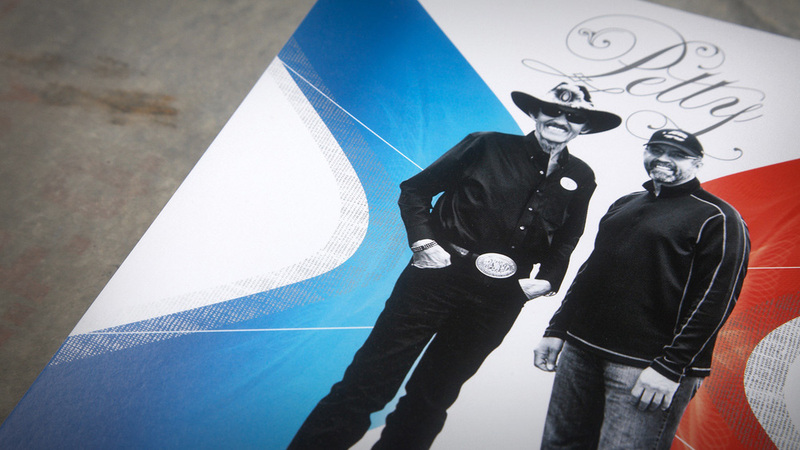 From philanthropy to racing, this hero card was designed to highlight each area of Petty Enterprises. Along with the hero card, Petty’s Garage is a high performance speed shop, building custom performance automobiles. They needed a piece that suggested just that. 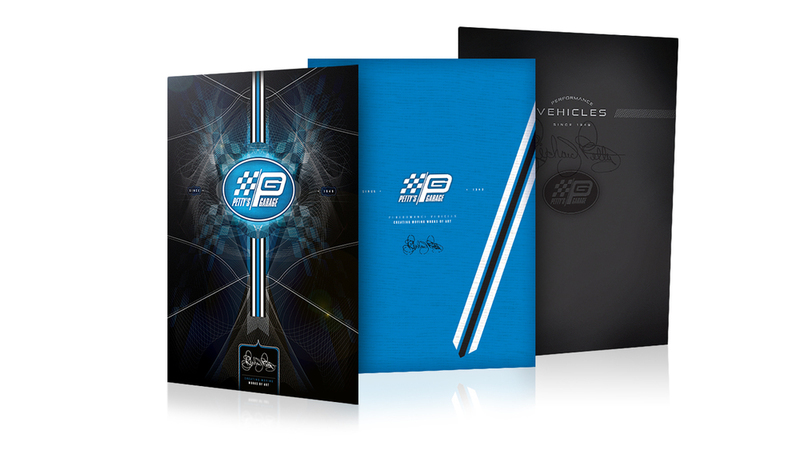 This pocket folder sports the legendary Richard Petty autograph, and utilizes the Petty blue, signature to the brand.